To those that have never visited the canal city before, Venice seems to be the destination that dreams are made of. A mystical place that is full of amazing photo opportunities, people dressed in masks, and intrigue around every corner. Though all of these elements do exist, there is no denying the fact the the buildings are in serious decay, the city itself in sinking, and only about 30,000 people currently live there, leaving many of the buildings vacant and uncared for. Don’t get me wrong, I love the place (I have been there three times) and there is nothing better than meandering down a sunny canal, with a warm cappuccino in hand. But if you aren’t prepared, your trip could end up filled with memories of wet feet, horrible smells, tourist traps, and bug bites. Venice is made up of 117 small islands, 150 canals and 409 bridges, none of which run in any sort of traditional grid pattern. Uneven alleys lead to bridges that lead to nowhere, and what is called a via (street) in the rest of Italy could be labeled calle, fondamenta, ruga, salizzada, ramo, corte, riva, sotoportego — you get the picture. Unless you want to keep your nose firmly planted in a map rather than enjoying the sights, fight every instinct, put your map away, and just wander. During the winter (November to April) there is frequent rain and flooding during high tide (called Acque Alte) in the city. Sirens will announce the flooding giving you time to race back to your hotel and throw on your boots so that you can continue your touring. If you think you can hack having wet feet consider this: the canals are extremely polluted and the water that floods the streets is usually overflow from them or the sewer drains. Everyone who arrives in Venice heads straight to Piazza San Marco. A zig-zag path, marked by signs and passing by souvenir shops, takes about thirty minutes to navigate and will bring you "straight" to the famous square. Though a must see, there are so many other areas of the city that, even in the busiest time of year, will be mostly deserted. Venice contains over 200 churches full of famous works of art, the majority of which are located in the outlying areas like Dorsoduro and Castello. Staying away from the cramped, people filled streets will also take you away from another huge problem in the city — pickpockets. No one likes to talk about it, but in the last few years, with more people travelling, the incidence of these microscopic bugs that feed off human blood has risen. Though they don’t transmit diseases, they are annoying and can cause rashes and allergic reactions. 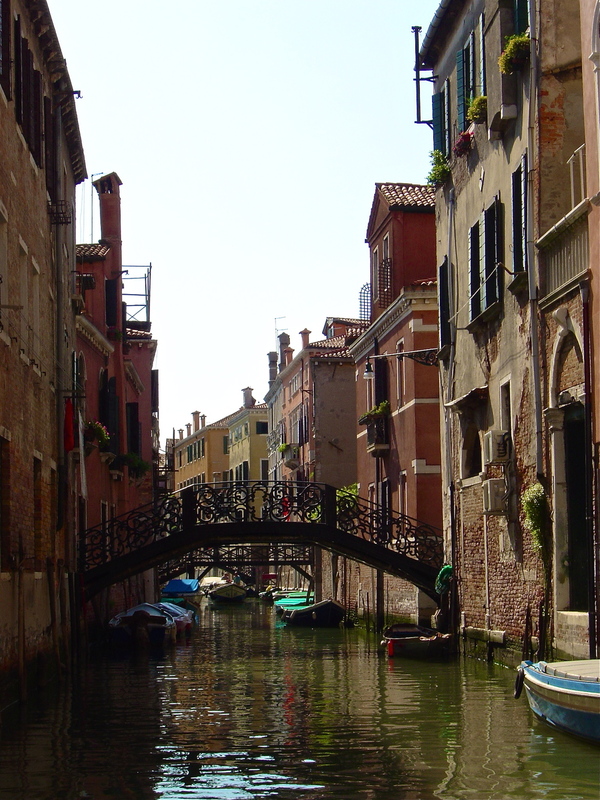 They love living in warm, damp environments with porous wood, which makes Venice the perfect location. If you find yourself waking up with little red bumps on your skin, the best way to get rid of them is to wash all of your clothing and your linens in hot water and find a new place to stay. I know that every tourist’s dream is riding a gondola through the canals with your hunny while a man in a striped shirt sings to you, but the cost of these rides will quickly shatter those dreams, especially if you are on a budget. A 45 minute ride can cost over $100 for 2 people-even more if you have a larger group. Taking a water taxi through the canals, can give you the view from the water that you are looking for (though admittedly is a lot less romantic) and save you a bundle. Lastly, for a more authentic experience with fewer tourists to contend with, try to avoid visiting between July and August, Christmas and New Years, and during Easter.